For in person help at OCAD U, visit one of our Help Desks, email ithelp@ocadu.ca or call 416-977-6000 x277. 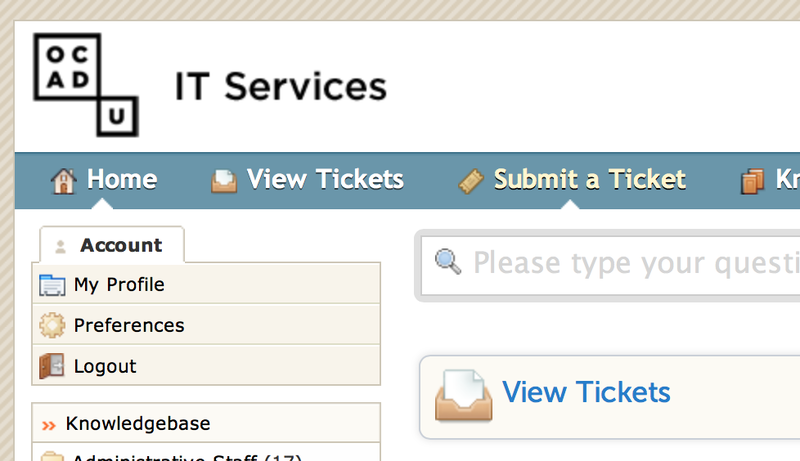 You may also use this website to create and monitor Tickets: a Ticket is a request for help or support for a desktop computer, wireless network, printer or other OCAD U IT Service that can be tracked, unlike email. It's an alternative to email, phone or walking up to one of our Help Desks. 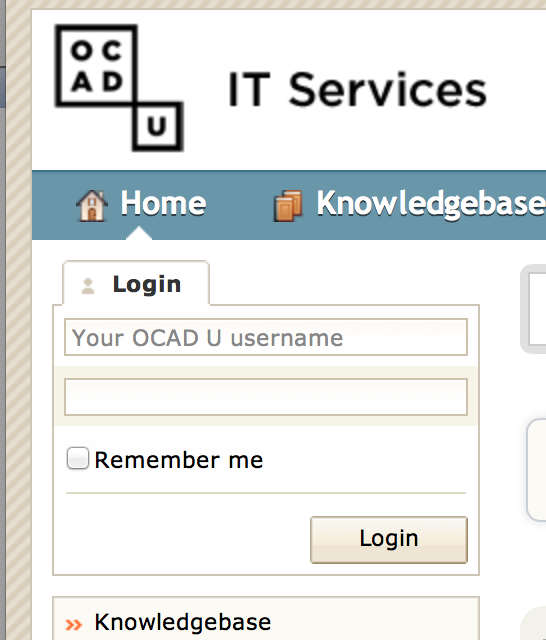 Log in on the left hand side using your student or faculty username. Where did experience the problem? Specify a building, room on campus, or were you at home or on a mobile device? "I was in 100 McCaul in the 665 Computer Studio"
"I was using my iPhone on the wireless." "I was trying to register for my courses on the student registration system but I could not successfully log in." "The desktop computer in the 665 computer studio would not boot up. There was nothing but a grey screen." "The projector would not turn on: there was a red light flashing on the projector." If it's a website you were having trouble with, let us know what browser you were using whether it be Safari, Firefox, Chrome or Internet Explorer. You will receive an email with your ticket details, and any action on your issue will be tracked to your ticket.